Replacing your tubing on your favorite vapor whip is a mustEspecially if you want to make sure your enjoying your blends natural essence. 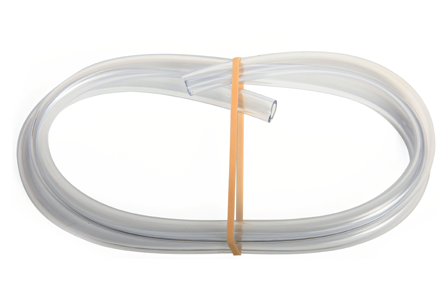 The Vapor Tubing 3 Ft size 9 is key to keeping your vapor whip functioning at optimum performance. Meeting the FDA standards, the Vapor Tubing 3 Ft size 9 is completely inert, lending to a session of sweet vapors. Vapir Mini Oxygen Vaporizer 4.
work with the size 9tubing. In general the Vapor Tubing 3 Ft size 9 is compatible with almost every vaporizer and vaporizer tool being offered on the market today. The easiest way to have a negative experience is to use an old vapor whip that is in bad need of a cleaning. The simplest solution is to use the tubing as much as you want, but then to discard after about a month of usage. Or you can prolong the life of your Vapor Tubing 3 Ft size 9 to about 2 months with regular cleaning and maintenance. Either way its very import to make sure there is no build-up in your tubing, this ensures a great vaporization experience. The Vapor Tubing 3 Ft size 9 is guaranteed to be free of manufacturing defects and in proper working condition when you receive your order. Should your order arrive and the Vapor Tubing 3 Ft size 9 is defective, a replacement will be provided free of charge. To obtain your replacement, contact Vaporwholesalers.com within 7 days of receipt of your order. Vaporwholesalers.com provides you with top-rated vaporizer products, accessories, and replacement parts. Enhance your vaporization experience by making sure to clean your Vapor Tubing 3 Ft size 9 on a regular basis after use. This will help to ensure your Vapor Tubing 3 Ft size 9 remains in proper working condition. The instructions we have for the Vapor Tubing 3 Ft size 9 are currently being reviewed. Once this process has been completed, new instructions for the Vapor Tubing 3 Ft size 9 will be made available. In the interim, if you have any specific questions about the Vapor Tubing 3 Ft size 9 instructions feel free to post a question. Your question will be answered by one of our experts within one business day.